Growing up on a small farm in the kingdom of Vanguard, seventeen-year-old Layla Givens lives a deceptively tranquil existence. But her carefully constructed life quickly falls apart when she’s abducted by a religious zealot who proclaims her The Fulfillment of an ancient peace prophecy and whisks her away to marry her greatest enemy. Wilhelm, Prince of the Ethereals, is reluctant to meet his new bride. He's grown up believing Vanguards are evil, an enemy to fight and fear...not love. Can he set aside his prejudices and work alongside Layla to bring lasting peace after centuries of war? Nash, a loner who has never fit in, carries a huge secret, one big enough to destroy both kingdoms. When he accidentally meets Layla, he’s no longer content to live in the shadows, but he must resist his growing attraction—for her safety and for the longevity of the two kingdoms. 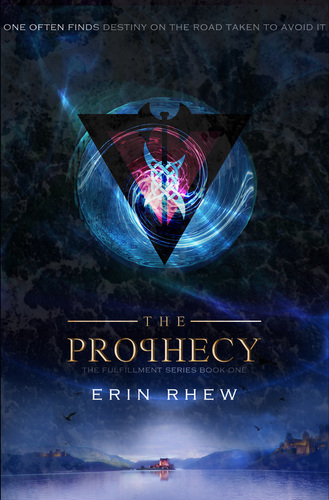 Order your copy of The Prophecy today! Click here to listen to the first chapter of The Prophecy! Deek and I got to read the first chapters of our books at Illogicon. You can find that recording here! 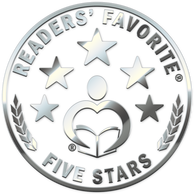 The Prophecy is a Readers' Favorite Five Star Seal winner! With King Jesper dead and Prince Wilhelm mortally wounded, Halfling prince, Nash, and the Fulfilment, Layla, assume the throne of Etherea. They must contend with a new Prophecy Candidate who asserts her position, and Layla is surprised to find her fate intertwined with this challenger. Facing a myriad of choices, Nash and Layla’s decisions affect not only their own futures but that of two kingdoms. Unbeknownst to the Ethereals or the Vanguards, a slumbering menace stirs in the south, awakened after centuries. The Outlanders, a force shadowed in mystery, sit poised to tip the balance of power, sending ripples of fear throughout both warring kingdoms. Elder Werrick proved a formidable foe, but Layla may yet meet her match in the monstrous Outlander queen. This mistress of the dark’s plans, rooted in revenge and ancient lore, now threaten the livelihood of all three kingdoms. Racing against time, Layla travels to the Borderlands—home of the Voltons and Ecclesiastics—to discover as much as she can about the war, the First Ones, and the prophecy itself. Lives teeter in the balance, kingdoms sit on the cusp of ruin, and a beast, greater than any she’s ever faced before, plots a catastrophic attack. 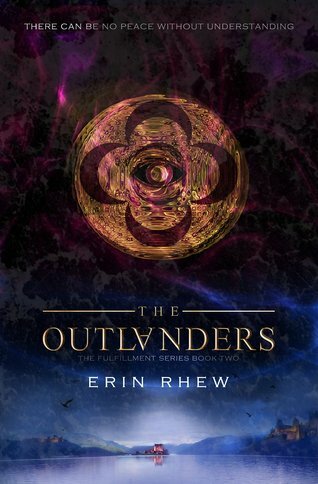 Get your copy of The Outlanders today! Layla’s world tumbles out of control when she discovers the truth of her parentage and realizes the Prophecy—the one she upended her entire life to defend—is incomplete. When her new friends share the entire Prophecy, the revelations contained within it alter her destiny and challenge everything she and Wil believe in. Now, she must confront the Outlander queen to save the Ethereal kingdom while grappling with this new reality. Tortured and imprisoned, Nash accepts his fate and offers the First Ones the one thing he has left to give: his life. In a desperate attempt to save the people he loves most, he surrenders himself to the Outlander queen and a destiny darker than he could have ever dreamed possible. Wil, tormented by the consequences of his choices, realizes he may never be able to uphold his end of the Prophecy. His mistake casts a deep, foreboding shadow over his kingdom and those he loves, while its ripples threaten to shatter both the Prophecy and everything he and his family have sworn to protect. In this epic conclusion, lives are lost, kingdoms clash, friendships are tested, and love and fate collide. 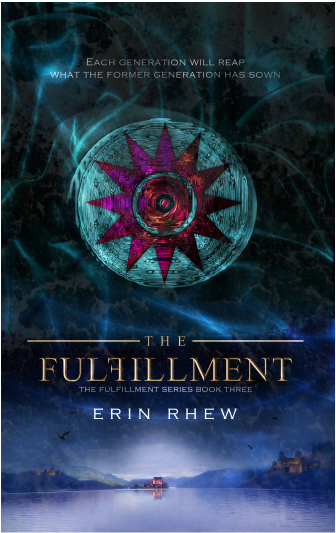 Get your copy of The Fulfillment today!